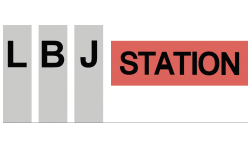 Welcome back to the LBJ Station Ltd. Blog! We hope you’re excited about a fun holiday in your apartment in Dallas, TX. Get ready for your upcoming Valentine’s Day celebration by preparing a gift of flowers for someone special. Today, we have tips for choosing the perfect type of flowers for your sweetheart, your family, or your friends. We also have two suggestions for places you can purchase flowers in the area. The rose is a beautiful mass flower that comes in a variety of colors, each with their own connotation and meaning. Red roses are so popular for Valentine’s Day because they typically symbolize love, romance, and beauty and perfection. Tulips are not only tall, delicate, and graceful, but they also are perfect for a holiday that celebrates love: Tulips mean perfect love. Extravagant and exotic, the orchid represents love, luxury, beauty, and strength. Give this to someone with fine taste or someone you want to treat to something extra special. To learn more about different flowers and what meaning they hold, check out Allflorists.com’s Floriography, The Meaning of Flowers page. We hope everyone at our LBJ Station apartment community has a wonderful Valentine’s Day and a fabulous February!